Klein makes pliers for everything and Wylaco stocks them. 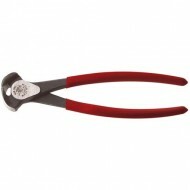 Klein Tools 73237 Retaining-Ring Pliers Klein Tools, Inc. represents much more than Klein pliers. The company's product line has broadened to include virtually every major type of hand tool used in construction, electronics, mining, and general industry in addition to the electrical and telecommunications fields. Klein Tools 73237 Retaining-Ring Pliers Feature.. Features: Wide throat clearance for clean, even cutting of wire or nails at close range. High-leverage design provides greater cutting power at the knives than other plier designs. Extended handles for longer reach and increased leverage. .. These are a discontinued item from Klein so quantities are limited Klein Tools 73246 Retaining-Ring Pliers - Convertible Klein Tools, Inc. represents much more than Klein pliers. The company's product line has broadened to include virtually every major type of hand tool used in construction, electronics, mining, and general industry in addition to the electrica..
Klein D2000-32 Specifications: Handle Color: royal blue Handle Finish: plastic-dipped Jaw Length: 3/8" Jaw Thickness: 19/32" Jaw Width: 1-3/16" Knife Length: 1-3/16" Overall Length: 8-1/2" Klein D2000-32 Features: Wide throat clearance for clean, even cutting of wire or nails at close range. H..